Hydroconductive action is controlled by Darcy’s Law, which defines the ability of a fluid to flow through porous media. Fluid can move from wetter to drier, even against gravity. This explains how water can be transported from the roots of a tree to the leaves. 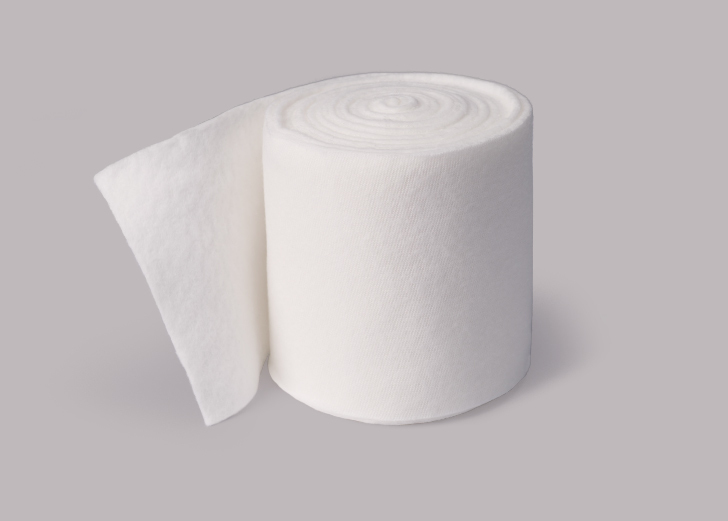 The LevaFiber™ Technology of Drawtex allows the dressing to lift, hold, and transfer the wound exudate both vertically and horizontally by hydroconductive action. Electrostatic action results in attraction of negatively charged bacteria and cytokines (MMPs) to the positive charge at the surface of the Drawtex. The positive charge at the Drawtex surface results from an electric double layer as positive ions from the edema/exudate coat the slightly negatively charged Drawtex. 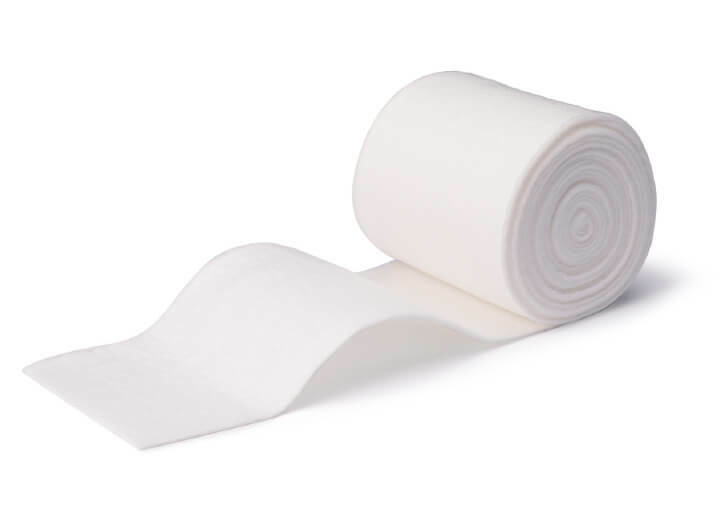 An ideal comfort layer wrap that assists patients and clinicians with the management of disease states associated with high volumes of collective fluid. A variation of the same process of combining cotton, polyester, and viscose that is used to create Drawtex Hydroconductive Dressing. Can be worn for up to 7 days, depending on the level of exudate. At the start of treatment, it may be necessary to change the system more often as edema initially reduces. Please note: Drawtex Edema Wrap does not apply compression. Apply the padding without any tension. Start the padding at the base of the toes, working up to the knee. Wrap the padding around the foot (complete an ankle lock and take the padding around the back of the ankle and return across the top of the foot, ensuring that the heel and foot are well covered). Proceed from the ankle to the knee using a simple spiral technique with a 50% overlap. If needed, strips of this excess material can be applied alongside the tibia or around the malleoli (ankle bones) to provide additional protection to these vulnerable areas. Robson MC. Advancing the science of wound bed preparation for chronic wounds. Ostomy Wound Management. 2012;58(11):10–12. Copyright © 2017 SteadMed Medical. All Rights Reserved.